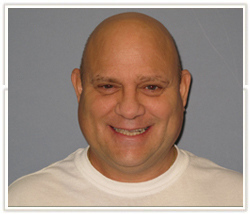 When I had to lose my front tooth, Dr. Eggert suggested I replace it with an implant. I thought it was the right thing to do and the final result has been great! Dr. Eggert’s team that did the color matching was very good. My implant tooth matches! I’ve been very happy with everything and would tell someone considering an implant to do it – it’s as simple as that! 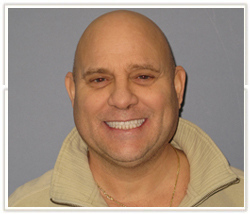 Dr. Eggert has been proven to be incredibly competent, and I have had many dentists in my lifetime. My grandfather was a dentist – four cousins are dentists (out of town) but happy I found Dr. Eggert!!! I love my new smile! The biggest surprise was how white and straight my teeth are. I didn’t think it was possible. I was really happy with the orthodontia part as well and I feel real comfortable with the splint in. I was really impressed with the temporary mock-up and the possiblities. I should have done it years ago! The outcome is really stunning! I think it was professionally done. I am glad I had it done. I get compliments from other people. It is worth it so I can keep my teeth!